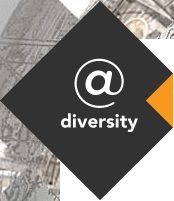 The Pilot Project “@ Diversity – Innovative Ideas for the cultural and creative sector in Europe” is an initiative funded by the European Union. Its implementation is entrusted to the Directorate General for Education and Culture of the European Commission which, following an open call for tender, awarded the contract to a Consortium composed of Peacefulfish, Kennisland and MFG. The specific objective of @ Diversity is expressed by the promotion of 10-15 ideas and the development of replicable business models. Culture in Europe will exceed its traditional boundaries and be progressively perceived as a dynamic process of giving shape to, preserving, sharing, experiencing and interacting with the products of human creativity. The richness of Europe’s cultural heritage and its abundant creative resources will thus become the privileged matrix of innovative ideas put into practice.